Merry Meet! As I write this, it’s a peaceful, cool Friday evening here. We are winding down this month of August and it’s been one of the best ones I can remember in many years. We have been so blessed with unseasonably cool temperatures. 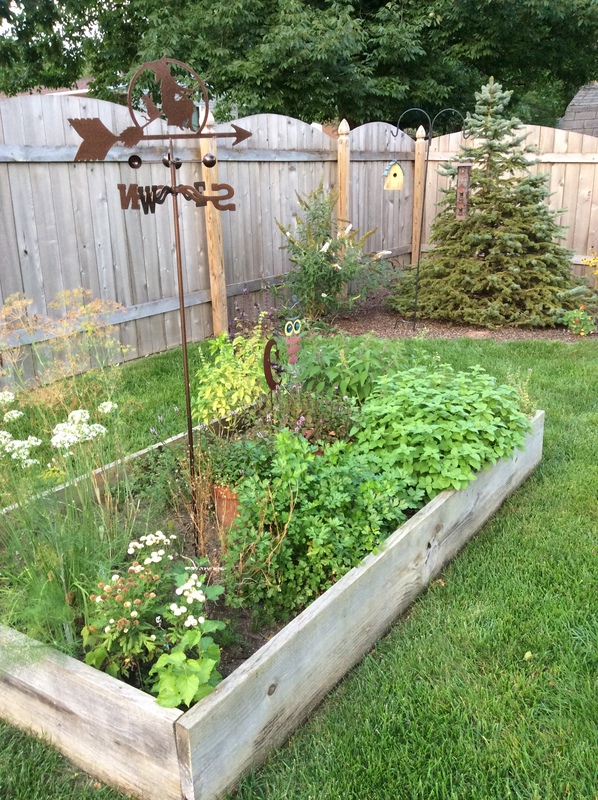 Many of our days in the 70’s and nights in the 50’s..just perfect weather in my book 🙂 Because of it, we have leaves turning already on some trees and our gardens are looking like they would at the end of the season, a bit early. However, we have upper 80’s temperatures coming back which makes me sad lol. But one thing for sure, Summer isn’t over yet. I have started my Autumn cleaning in preparation for Mabon. 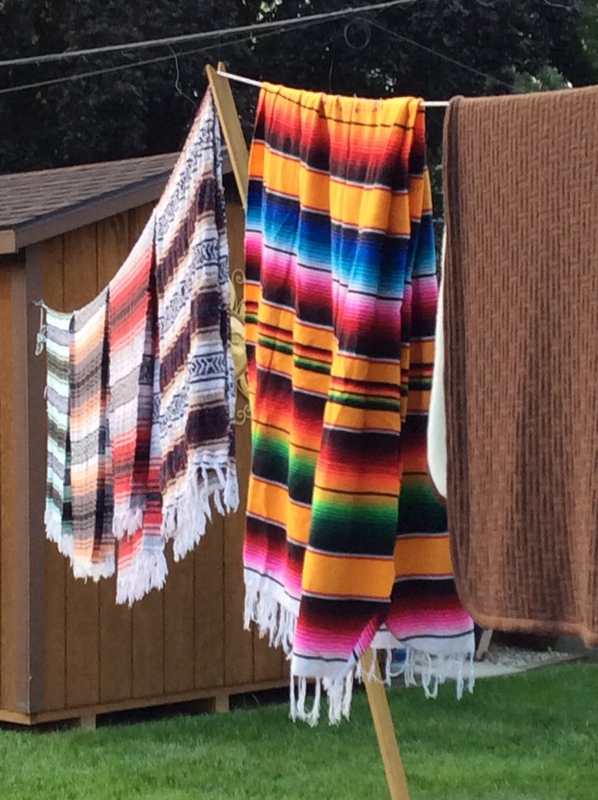 Today I spent time pulling out throw blankets and giving them a wash and hanging them on the line to dry. It’ll be nice to have clean, aired out blankets the first night we need them by the fire or in our warm beds. I’ve done our throw rugs too. Deep cleaning will continue to commence in the next week or two. I love Fall cleaning even more than Spring cleaning..just because it means I’m getting ready for my most favorite time of year! In a couple of weeks, my family will be spending a few days in the Smoky Mountains together…that includes my wonderful daughter and her husband and my beautiful grandchildren. And of course my daughter Sara who lives with us and my husband and two friends too 🙂 We have booked side by side cabins and so look forward to spending time together, relaxing in the beautiful mountains! Those mountains..they are like home to me..my soul just soars when I’m there. Having my most loved ones with me makes it even more priceless. I have a bit of news to tell about myself. 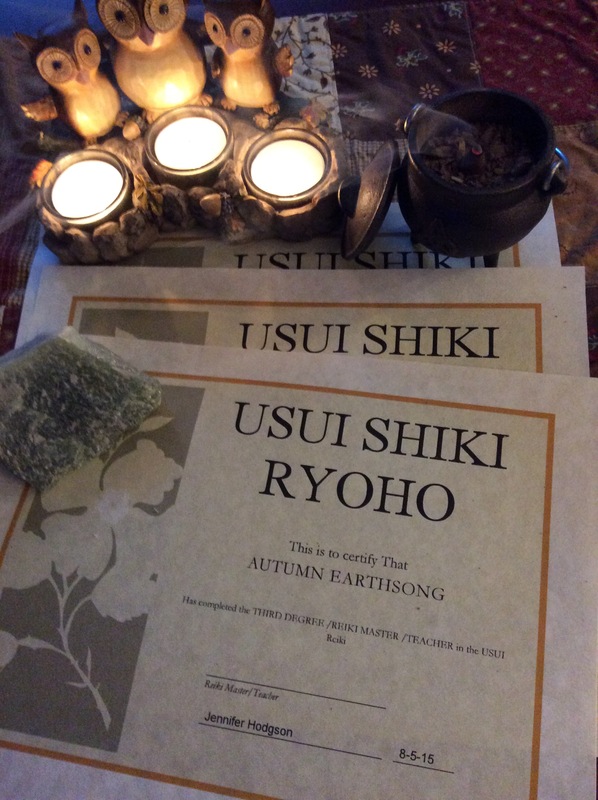 I’m thrilled to say that I have finally (after wanting to for many years) gotten my Reiki Master/Teacher certificate. I have a dear friend, Jenn, who helped me by leading me to what I needed to read and learn and practice, and then attuning me for all three levels. It has been an amazing experience and I’m so happy to be able to use this amazing healing energy on myself and those who are in need. It’s quite a feeling. If you’ve thought about it even for a minute…I highly recommend you do it! Several things have happened to me since getting attuned. I have opened up more to receiving and giving healing, but I’ve also been receiving messages via dreams, empathy and from the Goddess. I have had spirit animals come to me, I’m discovering new guides and inner wisdom, my Path is much brighter and I’ve gained more knowledge. It’s a powerful thing indeed. I’m most anxious for the Super Moon tomorrow night. The energy already is palpable and strong and with my strengthened abilities, I hope to have a wonderful experience with Her! I always do, but I expect More this time I think. I’ll be making Super Moon water, charging crystals and altar tools, and drawing down Her energy and power and reveling in it! Also, there are three months in a row of Super Moons! 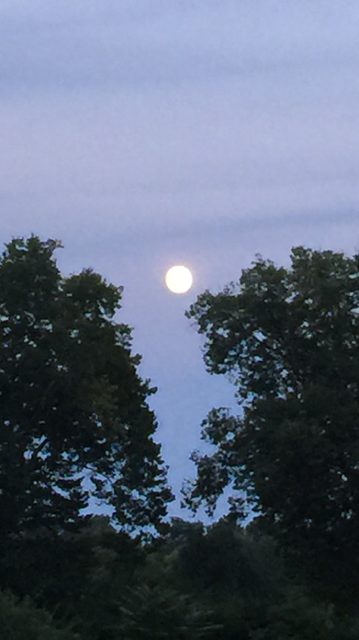 Imagine how wonderful a Full Harvest Super Moon will be next month! And then the one right before Samhain…..the Witches’ New Year! Powerful Magick will abound! I love Autumn and Winter Moonlit nights the most I think. There is something about being outside when it’s cold and crisp, or when snow is glistening in the light that makes it even more magickal for me..more energy. Of course being under Her in the warm months is warmer, it’s just not the same for me. I love my seasons are upon us..I can feel the energies swirling! Mabon is coming fast..it’s almost September finally! I plan on attending my first Pagan festival on September 26th..my whole coven plans on going together to it. It should be a lot of fun! Some of us have been before, but I’ve always been out of town, so it’ll be my first time. I look forward to the fellowship with my sisters and those of my community who share my Path. It’s a great way to celebrate Mabon as well. I look forward to meeting some of my Facebook friends face to face. On Mabon, I’ll be harvesting the last of my herbs, finishing my Fall cleaning, and of course having a fire and feast to celebrate the return of my very favorite Season. Beautiful Autumn! Those words just bring me Joy! Enjoy the Super Moon tomorrow night..wherever you are and whatever you’re doing. Aren’t we Pagans and Witches blessed to have our Sabbats and our Moon celebrations to remind us how beautiful our Path is, how magickal our Craft is and how lucky we are to have discovered who we are? I do my best every day to remember that. I have found my happiness and peace..I hope you have too! Whatever your Path! *All pictures are my own. The Wheel Turns to Mabon 2018……. 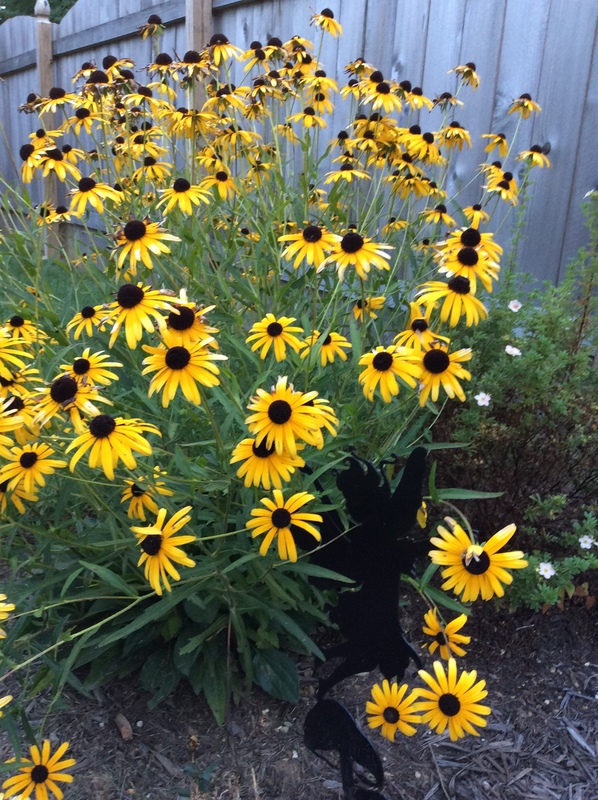 The Wheel Turns to Lughnasadh 2018…. My Moonlit Path….. · The Story of My Everyday Life…..